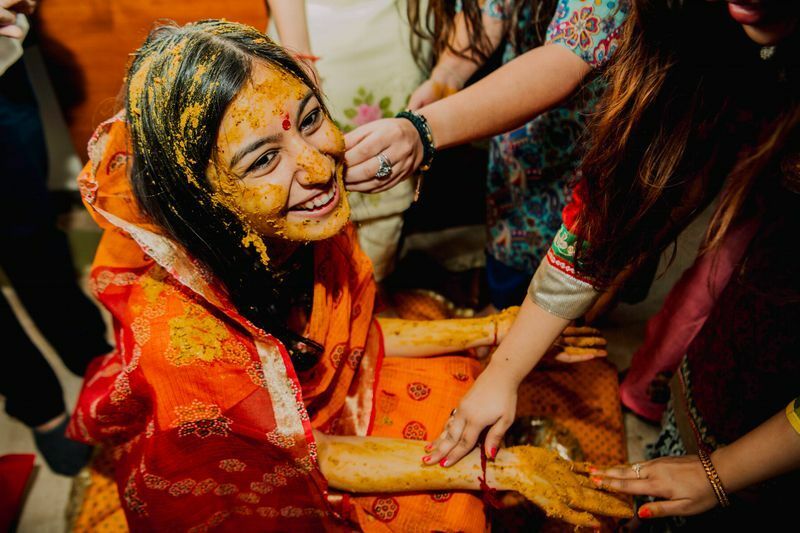 Real Brides Reveal: Should You Get Something New For Your Haldi, Or Wear Something Old? 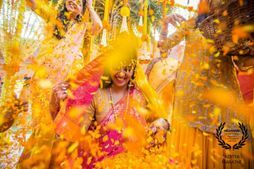 Now this is something that might have probably crossed every other bride-to-be's mind: should you, or should you not get a new haldi outfit? After all, it is something that might highly get messed up during the ritual, and in most families is donated after it is over. So, is it worth getting a new outfit for the function or should you reuse one of your older ones? We asked some Real Brides to help us and you with their views! Old is gold! 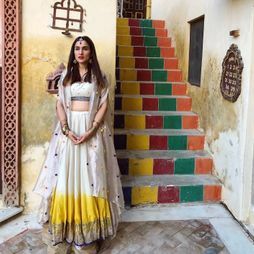 For my Haldi, I wanted to wear something colorful but obviously didnt want to splurge on something which I'd be wearing for only an hour. More importantly something that will get oiled and stained - basically go waste! So here's what I did - Took my mom's old silk suit and got it altered to fit my size, bought a colorful leheriya dupatta to go with it and tada! Something fancy and colourful and cost me only a few hundreds! 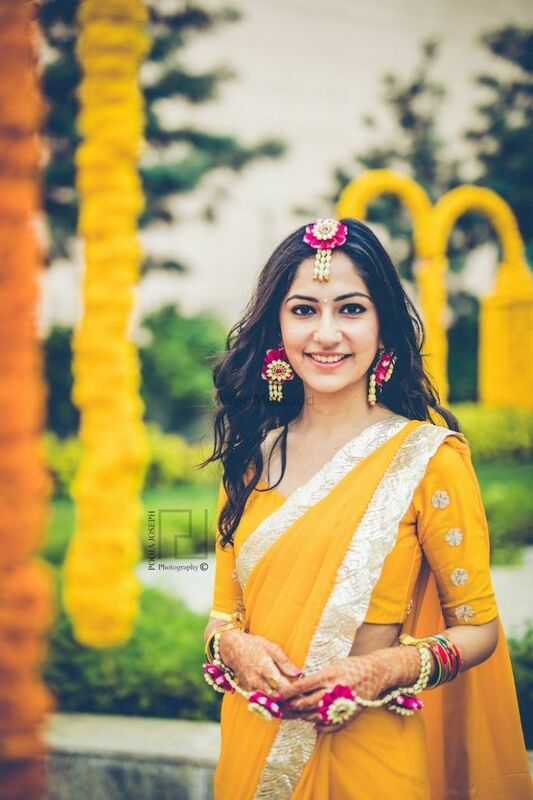 In my opinion, brides should definitely prefer wearing a new outfit on their haldi! The reason being, that it happens once in your life time, so I feel they should wear something very bright and chic! In any case, how many wedding outfits are brides going to repeat? You need to look picture perfect! Look fresh and fabulous without worrying about the haldi spoiling your clothes! 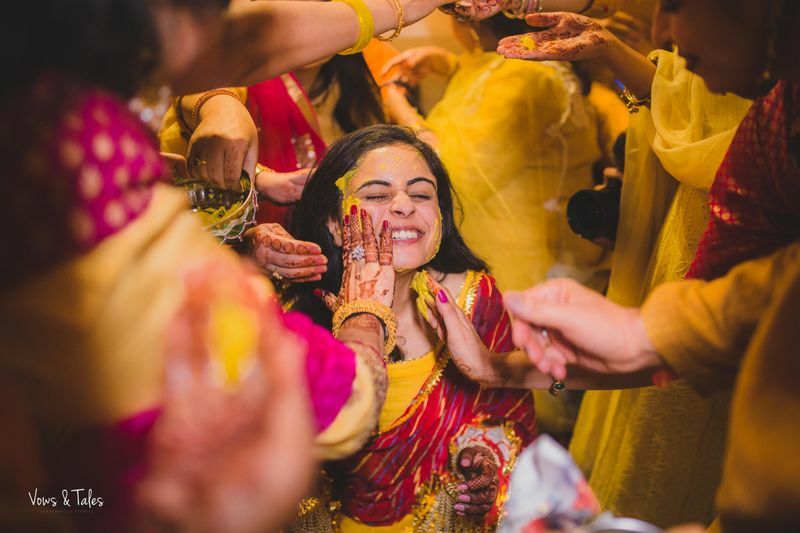 Like every other wedding ritual, Haldi too, has an ancient, deep-rooted significance attached to it, and one that my family takes very seriously. It’s custom to wear an old outfit for this ceremony and I chose my mum’s gota-patti saree, draped Gujarati style, to have smothered in haldi and some unadulterated love. 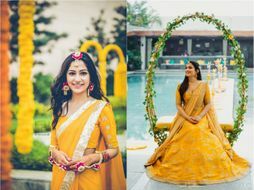 I feel the bride should wear something new for the haldi, yes I know that outfit cannot be used again but the pictures of Haldi ceremony are forever, then why not? In Sikhs, we visit the holy Golden Temple before the marriage and take a dip in the holy water. We have to wear a new outfit after the holy dip and then put that same outfit on the haldi day. But I am totally pro a new outfit for the haldi ceremony! I am quite traditional in my views. 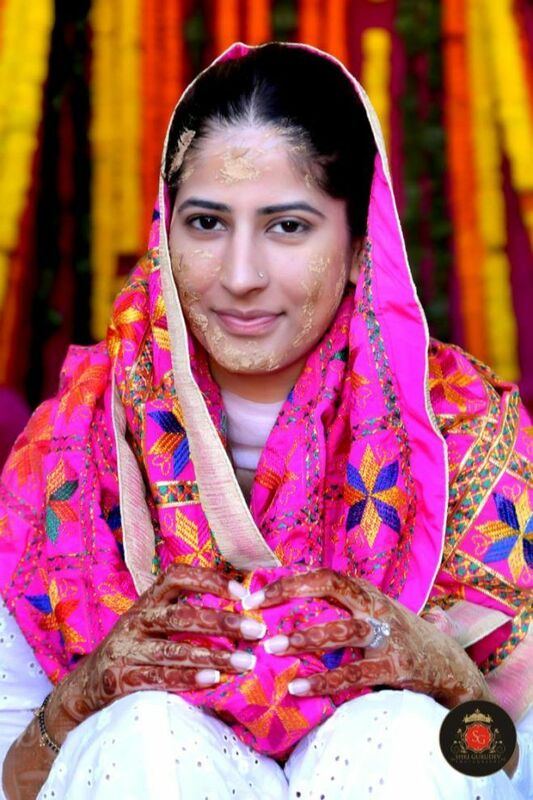 According to our customs the outfit worn on haldi by the bride is to be is given to someone in need. So I bought a new orange saree which had red flower motifs on it. After the function I donated it to our domestic help. Each to their own, but I chose to wear something new! I wanted to wear a traditional yellow saree. So I designed it myself! 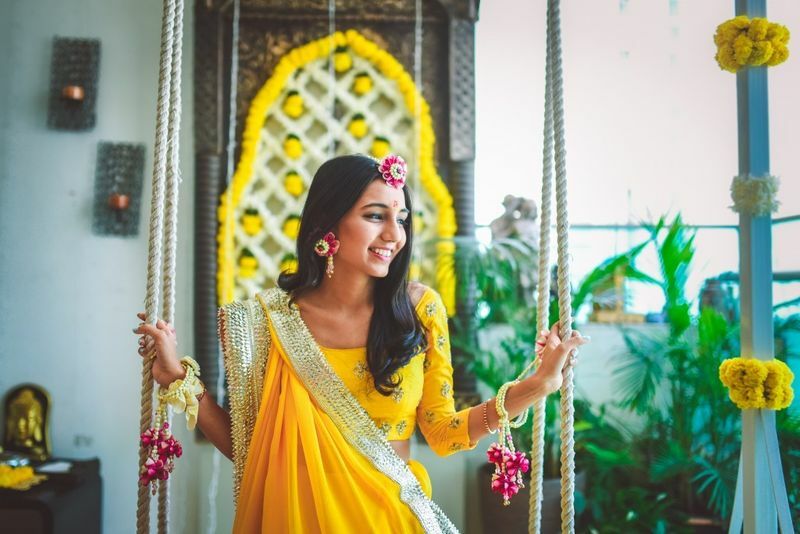 ALSO READ: 6 Amazing Haldi Looks We Spotted On Real Brides! 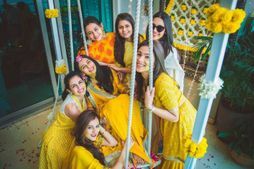 The Coolest, Yellowest Haldi Photographs We Spotted! 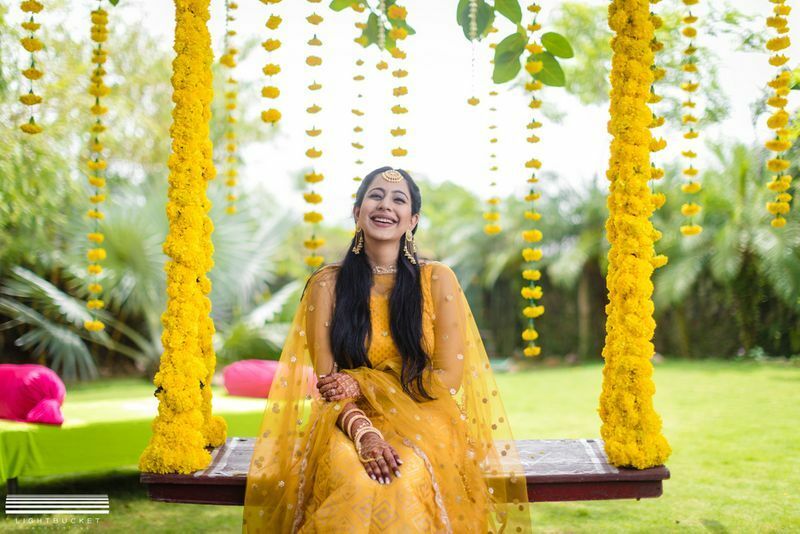 6 Amazing Haldi Looks We Spotted On Real Brides! 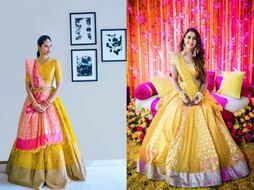 The Prettiest Yellow Lehengas We Spotted For You To Consider For Your Haldi! 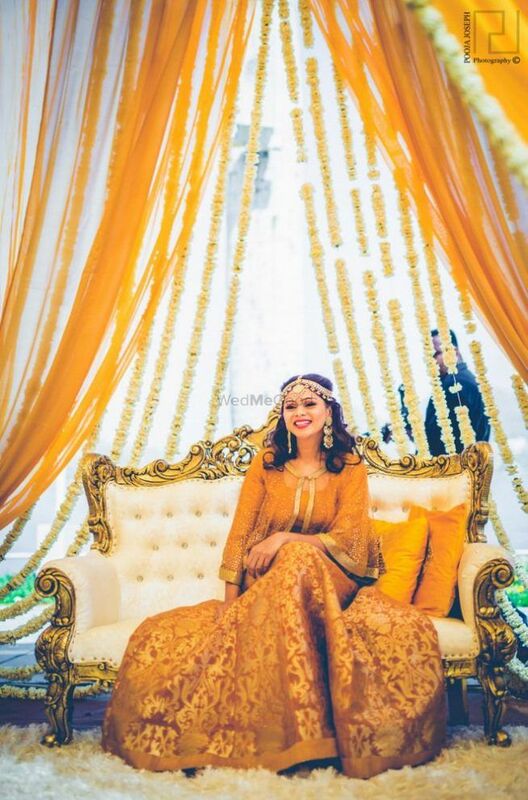 #BudgetBrides: Amazing New Haldi Décor Ideas Within 25K! Amazing New Designer Lookbooks You've Got To Browse For Your 2019 Summer Wedding! Mind-blowing New Indo-Western Silhouettes To Consider For Your Mehendi! Indo Western Outfits To Pick For Your Destination Wedding! *With Links & Prices! Shiny New Labels You Can Consider For Your Cocktail Gown! This Couple Had A Zero-Waste Wedding & Here's How You Can Make A Difference Too!